Last Friday we inducted the sixth class into the Missouri Public Affairs Hall of Fame. This year’s inductees were Maya Angelou, Bill Clay, Sr., Bill Darr, Emily Geraghty and Doug Pitt. You can learn more about the inspiring stories of inductees from this year and prior years on the Missouri Public Affairs Hall of Fame webpage. We hosted our largest crowd ever for this year’s induction ceremony and banquet. Thanks to everyone who attended. If you have a nominee for the Public Affairs Hall of Fame, please submit a nomination form online. Last week we had the privilege of hosting the Hawthorn Foundation’s board of directors in Springfield. The Hawthorn Foundation consists of Missouri leaders in business, education, economic development, healthcare and labor dedicated to making the state of Missouri stronger. I am on the board for the Hawthorn Foundation and its subsidiary, the Missouri Partnership. 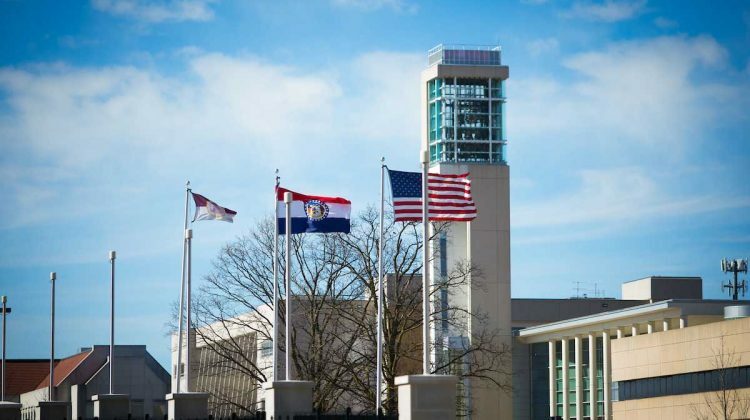 20,026 students from the state of Missouri are enrolled on Missouri State University’s Springfield campus. 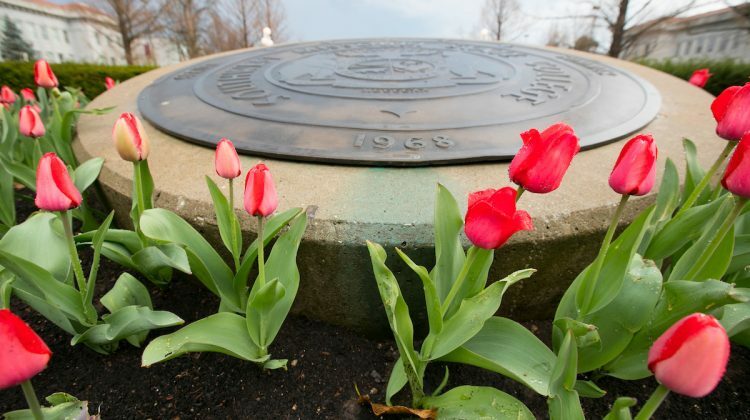 This is more than any other university in the state. Enrollment on the Springfield campus has grown by 17.2% since 2011. Meanwhile enrollment has decreased by 9.2% nationwide and 11.3% in Missouri. Over the last decade, tuition at Missouri State has increased by less than inflation. 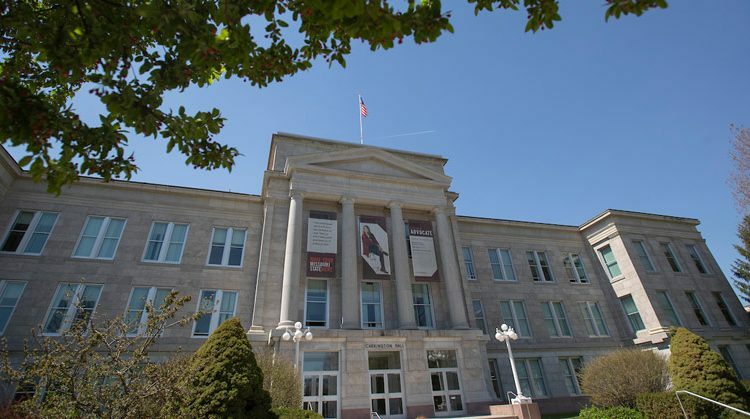 Missouri State University receives less state funding per student than any other university in the state. We are working with the legislature to close this gap with an equity adjustment. Earlier this week, Craig Frazier, vice chair of MSU’s Board of Governors, and Kristan Gochenauer, board secretary, attended the Association of Governing Board’s National Conference on Trusteeship. Governor Gabriel Gore and I also planned to attend, but weather-related flight delays thwarted our travel plans. The conference included a workshop on how universities can stay relevant and competitive in challenging times. The conference included another workshop on growing and diversifying revenue. A former Walt Disney executive presented a keynote titled “Leading for Creativity.” A former chief economist at CNBC presented another keynote about negative market indicators and how higher education institutions should be prepared for the future economic landscape. We will discuss the information conveyed at the AGB conference at our May Board of Governors meeting. These and other higher education trends will guide our work this summer on next year’s action plan. Thanks for all you do for Missouri State! The Collaborative Diversity Conference is April 24 – 26 and the MoState Student Summit is April 27. I hope you will join me in attending one or both of these important public affairs events. The theme for this year’s Collaborative Diversity Conference is “Bridging the Cultural Divides.” The conference will emphasize best practices for diversity and inclusion while addressing the cultural divides that reflect our current national climate. 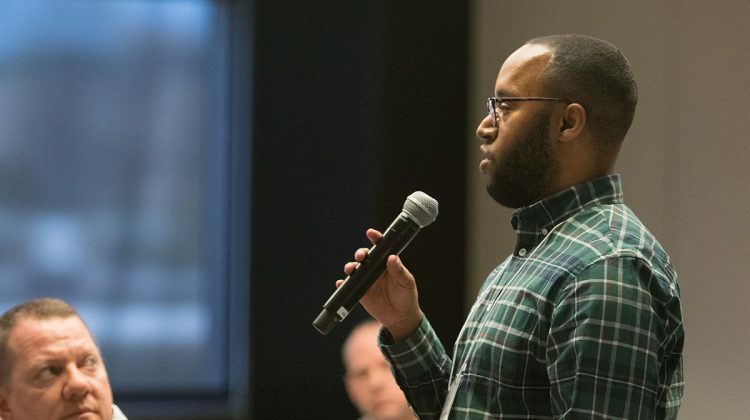 On April 24, we will feature an anti-racism preconference workshop titled “Facing Racism in 2019 and Beyond!” This session will discuss how to oppose racism in the workplace as well as the current political and social environment. Conference sessions will begin on April 25 with a plenary presentation by Professor Irshad Manji, an author, educator and winner of Oprah’s first-ever “Chutzpah Award” for boldness. A Muslim who openly stands for the dignity of women and minorities, she has founded the award-winning Moral Courage Project. Morning and afternoon breakout sessions will follow Manji’s plenary presentation. You can find more information at the Collaborative Diversity Conference webpage. On April 27, we will host the 2nd Annual MoState Student Summit. The summit allows students to take on the roles as presenters and provide an interactive and transformative forum for participants to engage in critical discourse around issues of social justice and make steps toward social change. The theme of this year’s summit is “Leading across the Cultural Divide.” You can find more information on the Multicultural Programs webpage. As many of you are aware, last week the Missouri House of Representatives perfected a bill that includes a floor amendment allowing individuals to carry concealed weapons on college campuses. To find out more information about this bill and how you can advocate on it, please join the MSU Legislative Network and read last week’s Legislative Network Update. The Lady Bears finished a successful season Saturday. The team finished with 25 wins and a Missouri Valley Conference Championship. Head Coach Kellie Harper was named the conference coach of the year and four players were selected to all-conference teams. We have a proud tradition of women’s basketball at Missouri State — this was the 15th time the Lady Bears have played in the NCAA Tournament and the second time under Coach Harper. The men’s basketball team also showed significant progress in Head Coach Dana Ford’s first season. The team had a winning conference record. Tulio Da Silva was named conference newcomer of the year, and two players were selected for the all-conference team. Ticket sales and attendance also improved significantly over prior years. We have had success in recent months and years in other sports as well — basketball merely represents the most recent example. We should be proud of our successful athletic programs. Winning athletic programs generate local and national media coverage and enhance Missouri State’s profile with prospective students and the greater community. Please join me in congratulating Coaches Harper and Ford and their teams on a job well done. The Board of Governors Executive Committee met earlier this month. The committee approved an agreement with the City of West Plains to establish a police substation on the West Plains campus. This agreement is modeled on the arrangement we have with the City of Springfield for a police substation on the Springfield campus. We believe this is the most safe and efficient model for a campus police force. It allows officers to be trained, supervised and managed as police officers. It also facilitates closer collaboration between the university and local law enforcement. The committee also approved two contracts for residence hall projects. These projects will reconfigure bathrooms in Woods House and install new finishes in Wells House and Woods House. The projects are funded with residence life reserve funds and auxiliary bonds approved by the board last year. The campus garden is a student-managed sustainability project that allows students to supplement their traditional education with hands on applications that benefit the community. The campus garden has a membership program through which members support the campus garden and receive produce each week during the summer months. Last year, the campus garden supplied members with more than 350 pounds of fresh produce and donated more than 900 pounds of produce to the Well of Life Food Pantry. If you are interested in the membership program, you can email the campus garden at campusgarden@missouristate.edu. You can also volunteer to help at the campus garden online. Today is Election Day. Don’t forget to vote! You can find more information about the election in last week’s Clif’s Notes. On April 2, 2019, we will have several important candidates and issues to vote on. I urge each of you to research the candidates and issues and put the public affairs mission into practice by voting. Municipal elections are on the ballot for several southwest Missouri cities. In Springfield, we have two contested council races. We also have uncontested races for mayor and three other council seats. You can learn about the candidates through the News-Leader’s January article. Voters in the City of Springfield will also decide whether to renew a ¼-cent sales tax to fund capital improvements. City leaders utilized a citizen survey to help them identify 20 high priority projects to complete in the first five years if the tax is renewed. The Springfield Area Chamber of Commerce has endorsed the tax renewal. You can find more information about this ballot measure online. School board elections are also on the ballot. Springfield Public Schools has three candidates running for two available seats on the board. Two of the candidates are incumbents. The third candidate is a new voice in local politics, Dr. Shurita Thomas-Tate. Dr. Thomas-Tate is an associate professor in our communication sciences and disorders department. The Springfield News-Leader ran an article in December highlighting Dr. Thomas-Tate and why she decided to run for school board. You can learn about the candidates for Springfield Public School board through Claudette Riley’s News-Leader article published earlier this month. Voters in the Springfield School District will also decide whether to finance 39 high-priority school improvements with an 18-cent increase to the property tax debt-service levy. The Springfield Area Chamber of Commerce has endorsed the proposal. You can find more information about this proposal online. We are very pleased with this progress. As you know, we receive less state funding per student than any other university in the state. The $4.7 million equity adjustment approved by the House Budget Committee will have a dramatic impact on our ability to fund cost-of-living pay increases and the minimum wage increase for student workers, keep tuition affordable and expand academic programs. We anticipate the House will debate, amend and pass the budget next week. The budget will then move to the Senate. There is still a long way to go in the appropriations process before outcomes are certain. However, we will continue to work with legislators to advocate that the equity adjustment that is now in the budget be maintained and increased. Several weeks ago I asked you to send me “where’s the fun” ideas. We received great feedback. I am impressed with the ideas our faculty and staff have for creating an interesting and convivial atmosphere on campus. We have put one of these ideas into motion immediately. 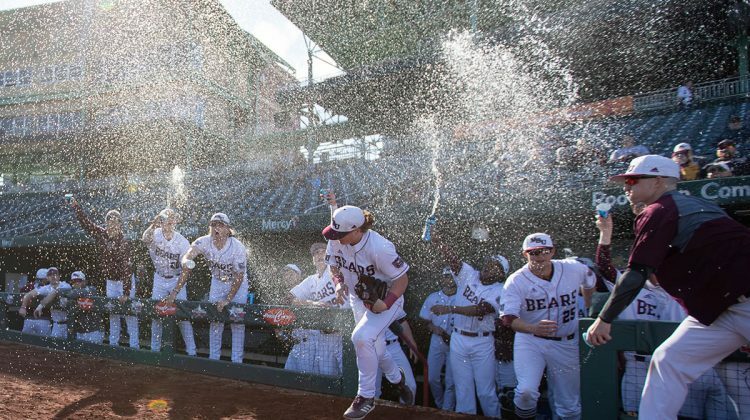 On March 26, the Bears baseball team will play the University of Arkansas at 6:30 p.m. at Hammons Field. This promises to be a good game against a serious opponent and a regional rival. We have decided to make this game free for all faculty, staff and their families and friends who accompany them to the game. To get your free tickets either go to the JQH Arena ticket office prior to the game or go to Hammons Field on game day. You will need to show your BearPass at the ticket office to verify that you work at Missouri State. I would also encourage you to do more than just show up to the game. Use this as an opportunity to meet up with your colleagues for dinner or a drink before the game to build relationships and enjoy a fun night together. My experience has been that going to a game is always more fun with friends. If you have other “where’s the fun?” ideas, please email them to me at president@missouristate.edu.